Portumna Castle, built close to 4 centuries ago by the de Burgo (Burke) family, stands close to Lough Derg, the River Shannon and Portumna Forest Park in Portumna, County Galway.This great semi-fortified house at Portumna was built around 1618 by Richard Burke, or de Burgo, 4th Earl of Clanrickard. It is a Jacobean-style building which remained the main seat of the de Burgo clan for over 200 years, until it was gutted by fire in 1826. 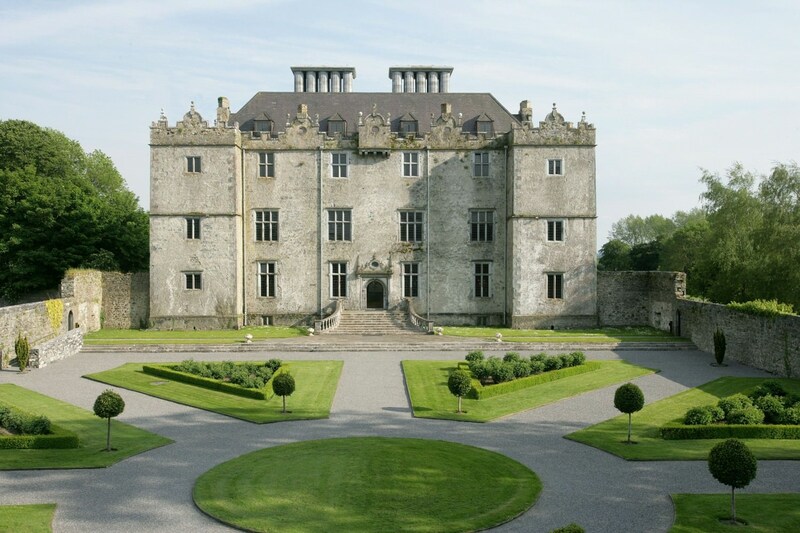 Portumna Castle has formal, geometrically laid-out gardens to the north. The Willow Maze incorporates several different willow varieties and its central path is lined with espalier fruit trees which are under planted with lavender. A 17th-century potager kitchen garden has been restored to its original splendour and organically planted with flowers, herbs, hollies, and vegetables. The garden offers the visitor an ideal opportunity to see and experience gardening layout and techniques of yesteryear. There are toilet facilities on site, however there no refreshments or other amenities. Children must be supervised at all times and there is partial wheelchair access.